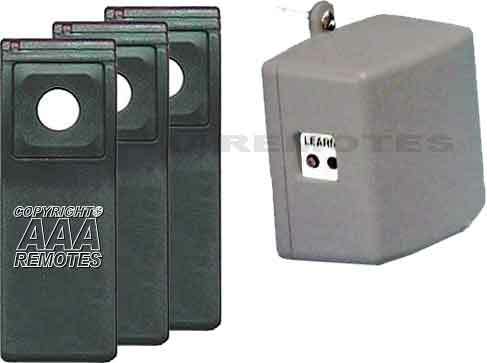 Makes any garage door operator compatible with MegaCode transmitters. Easy to install – one connection using two-conductor wire. Learn more with 10-transmitter capacity. Normally open contact activates for 0.5 seconds. The MDR-U is a versatile (universal) receiver that makes it very easy to equip nearly any garage door opener for use wit Linear’s popular MegaCode format transmitters. MegaCode uses a frequency of 318 MHz and features over one million radio codes to all but eliminate any possiblilty of code duplication. It offers simplified programming via the receiver’s learn mode. Previously, when installers wanted to add MegaCode capability to a garage door opener that did not come already outfitted with a MegaCode receiver, they had to use Linear’s MDR receiver in combination with a power transformer. The MDR-U replaces the MDR and plugs directly into any electrical outlet. All that is required is running a single two-conductor wire from the MDR-U to the opener’s push button input. The MDR-U has one normally open contact output. It can be used to send a remote control signal from up to 10 MegaCode transmitters. A learn mode dramatically simplifies programming to just a button press.